Old Vintage Home Décor Handmade Brass Indian Kitchen Oil Container. Great In Condition. A Must For Old Kitchen Item Lovers. Best For Your Daily Use. In Usable Condition. These Were Very Popular In Indian Old Days. 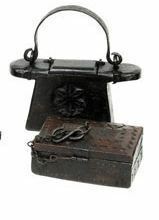 This Meenakari Oil Pot can be used for storing oil without any chances of contamination. 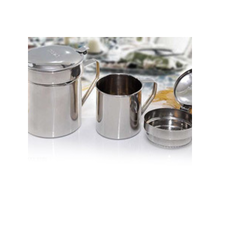 We offer an enchanting range of Oil Pots made from very high quality metal. Designed with a contemporary flair, this stainless steel oil pot is an essential addition to the kitchen and can also be used on the table. A flip top lid makes it easy to pour in oil and also makes it easy to clean.